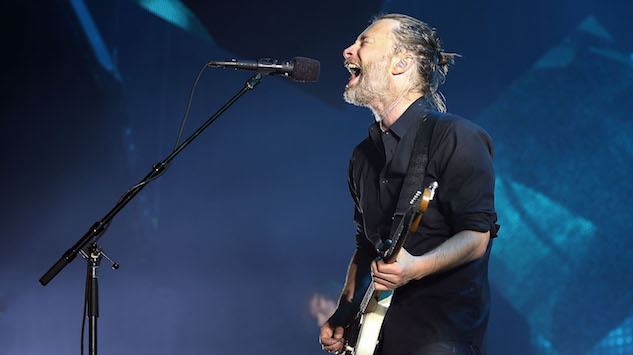 Last month, the nominees for the Rock & Roll Hall of Fame were announced, with Radiohead heading the class. For most who are nominated, it is undoubtedly an honor, but the British rock veterans are indifferent, to say the least. Now they’ve solidified their ambivalence on the topic at hand: They just announced a string of South American tour dates that guarantees their absence from the ceremony. On the night of the induction, April 14, Radiohead is scheduled to play a concert in Buenos Aires, so there’s definitely no chance of them making it to Cleveland that night. On top of that, a rep for the band confirmed to Pitchfork, “They’re not attending.” That seals the deal: They really don’t care. Check out the band’s South American tour dates below, along with a Radiohead performance from the Paste Cloud, and see the full list of Rock & Roll Hall of Fame nominees here.